Michael Schumacher has not appeared in public yet since his unfortunate skiing accident in 2013. For years, people are wondering how he is doing since his family refused to release details about his health. Occasionally, the friends and confidantes of the F1 champ share bits of info about him but those were not enough to reveal his real condition. Recently, the NZ Herald reported that new information about Michael Schumacher’s health has emerged and the source was Sabine Kehm, Schumi’s manager and one of his closest confidants. Based on the report, Kehm had a long interview with F1’s official podcast called “Beyond The Grid” and although she did not directly talk about Michael’s health, there were hints in the discussion. Firstly, Sabine Kehm only agreed to do the interview to celebrate Michael Schumacher’s 50th birthday and even if the talk was mainly about the famous racer’s successful career in the world of racing, she also shared something about the Schumacher family and by her words, it can be assumed that Michael is doing well. The manager also added that Michael Schumacher really needed the privacy and his family has always been there for him for protection. Plus, she disclosed that for Michael, his family is currently his battery to keep going. Meanwhile, EconoTimes previously reported that Michael Schumacher’s family prepared a birthday celebration as the racing champ turns 50. 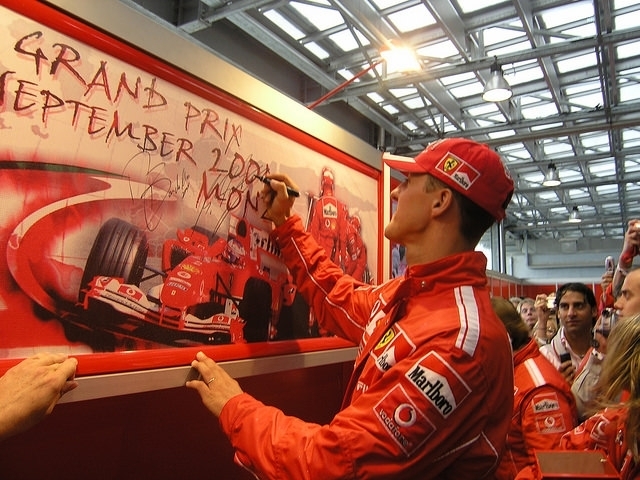 Before the actual celebration took place the Schumacher family offered a surprising gift to all the fans when they released a rare statement that says Schumi is in good condition.